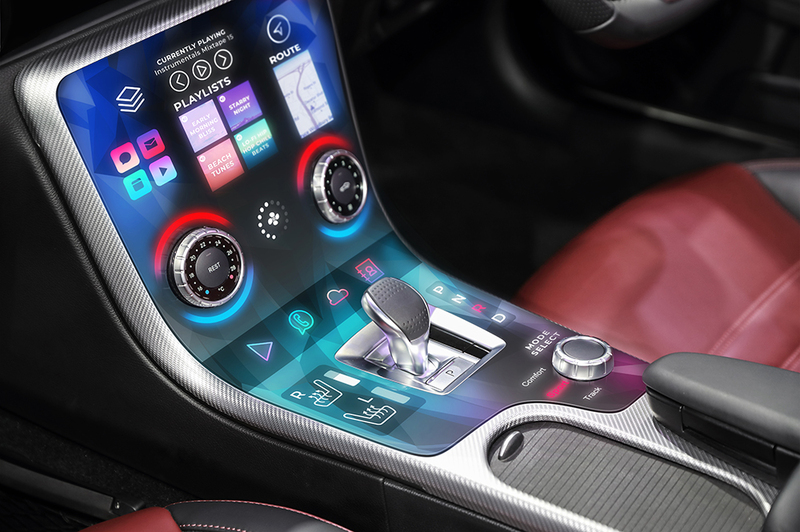 Flexible displays bring outstanding opportunities for automotive interior design. Progress toward connected cars and autonomous vehicles is leading to the evolution of the vehicle Human Machine Interface (HMI). Now a much greater proportion of the car’s interior surfaces can become interactive. The HMI today is already responsible for addressing the information, communication and entertainment needs of the passengers, while also meeting safety requirements. With the gradual transition to self-driving cars, the HMI is undergoing a change too both in terms of design and function. In order to respond to the HMI evolution, displays will play an ever more important role for creating a customisable, personalisable and safer car interior. IHS Markit forecasts that the market global revenue from automotive display systems will grow at a compound annual growth rate of more than 11% to $18.6 billion by the end of 2021 driven by connectivity, infotainment and safety. Flexible displays have the potential to create a design revolution in cars that won’t be limited to the dashboard and the centre console. There are many new applications that displays can address as they become thin, light, shatterproof and conformable to any surface. These displays will typically need to conform naturally to the curved surfaces of the car and be unobtrusive when not displaying information. Often they will need to be non-rectangular as well as non-flat. For example, a curved display on the A-pillar of the car can replace the wing mirror (for increased aero dynamic efficiency) or show the driver what is behind the pillar (for increased safety). FlexEnable provided a conformable OLCD for Yanfeng Automotive Interiors’ XiM17 autonomous vehicle interior concept that made its world debut at the 2017 North American Auto Show in Detroit. The 12.1” display has been incorporated into the car’s A-pillar to allow for greater visibility and safety. 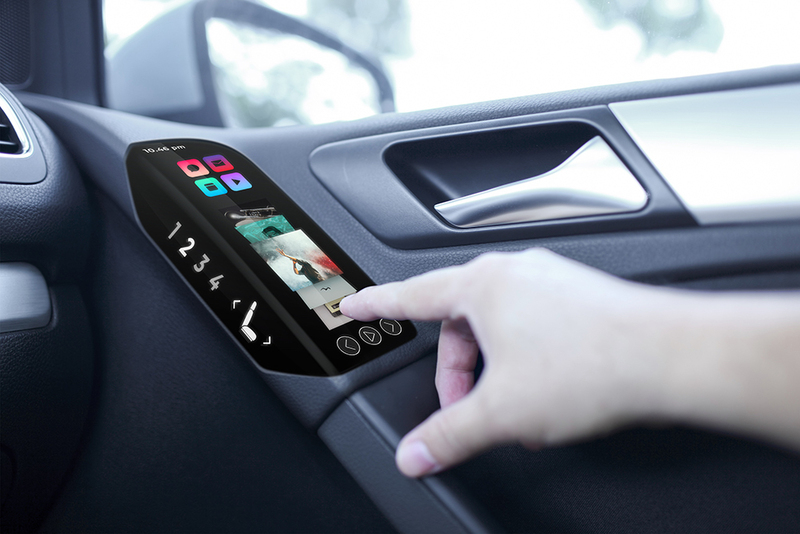 As touch screens are now increasingly making their way into vehicles there is a growing need for incorporating more and larger sizes of displays as well as irregular and curved displays. IHS Markit estimates that centre stack and instrument cluster display systems will exceed 60 million units by 2021. This poses a design challenge as to how these displays will be seamlessly incorporated into a car’s interior. Plastic displays will be preferred over glass-based displays because they can conform to the vehicle interior curves and avoid crash safety issues with glass. Glass-free, organic LCD (OLCD) technology developed by FlexEnable is a unique and compelling choice for low-cost, conformed and shaped displays in vehicles. FlexEnable can provide prototype OLCDs to automotive partners for integration in new car designs. For more information, please contact us at info@flexenable.com.